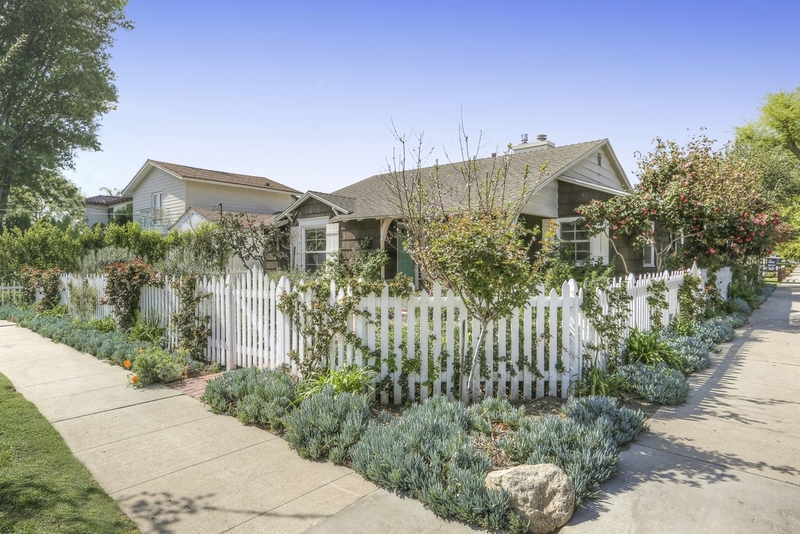 Elegantly updated vintage Mellenthin beautifully set on a corner lot with a white picket fence and storybook winding brick path entrance, this charming home is highlighted by a gourmet entertainer’s chefs kitchen. Thermadore stainless appliances, custom wood cabinetry, commercial range top, touch sensor faucet, large built in “collectors” wine cooler, wet bar, plus spa bath with Brizo and Toto fixtures,. Features include oak hardwood floors, original coved ceiling, recessed lighting, dual pane windows, central air, surround sound, twofireplaces, updated electrical and plumbing, low maintenance private yard with patio, fruit trees, and detached garage. Located near major studios, restaurants, entertainment and shopping.